This reseller/integrator has a lucrative recurring revenue stream thanks to its expertise in bar code printer staging and deployments. Reseller/integrator The Steve Holmes Group has a longstanding partnership with electronic health record (EHR) solutions provider MEDITECH. When MEDITECH sells its software suite to a hospital, the facility is referred to the Steve Holmes Group for its printing needs, as well as for any related mobile applications. According to CEO Steve Holmes, his company works with MEDITECH hospitals, deploying bar code label and wristband printing, inventory solutions, document imaging, and other solutions and peripherals. The company’s printing solution is based on a proprietary printing code that works exclusively with MEDITECH’s EHR solution. 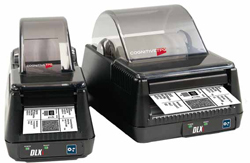 Holmes uses CognitiveTPG DLXi 4-inch and 2-inch printers, as well as CognitiveTPG’s C-series 4-inch printers. The printers are used in the pharmacy and laboratory for generating labels and radiology jacket labels. At the admissions desk, the CognitiveTPG/ Holmes solution generates wristbands. The printers can also be used in materials management and other applications throughout the hospitals. Holmes Group loads the code onto the CognitiveTPG printers so they can be deployed in conjunction with the MEDITECH EHR. The VAR is the primary provider of those printing solutions for all of MEDITECH’s 2,200-plus hospital customers around the globe. Deployment sizes vary. For a 25-bed hospital, there might be 30 printing locations that need hardware. In larger facilities (300 beds and up), Holmes Group might provide as many as 100 printers. “We get into their offsite areas too, like surgery centers, physicians’ offices, and urgent care,” Holmes says. Holmes Group also provides CognitiveTPG wristbands, bar code labels, and other consumables. The printers typically have a long lifespan, so Holmes says they don’t refresh the hardware very often for the hospitals. His company also offers training and application services and supports the printers and scanners for the life of the device, over and above the manufacturer’s warranty. Once it has the printers in place, Holmes is usually able to sell additional solutions to the hospitals. For example, the company also provides MEDITECH Materials Management, document imaging, and the MEDITECH Wireless Phlebotomy solution. “If we’re working with a lab, the printers are a great foot in the door,” Holmes says. “Once we get them set up, then we’re talking about our wireless phlebotomy solution or specimen collection. That brings in more follow-on business, so we can sell them more scanners or portable printers. Holmes is still expanding those additional revenue opportunities. For instance, his company is currently working with CognitiveTPG to develop a secure prescription printing solution for MEDITECH, as well.